Something pretty remarkable is going on around dinner tables, in car trips to soccer practices, and beside little one’s beds. A generation of children is being raised to make their mark on the world—to make a difference in their place in history. 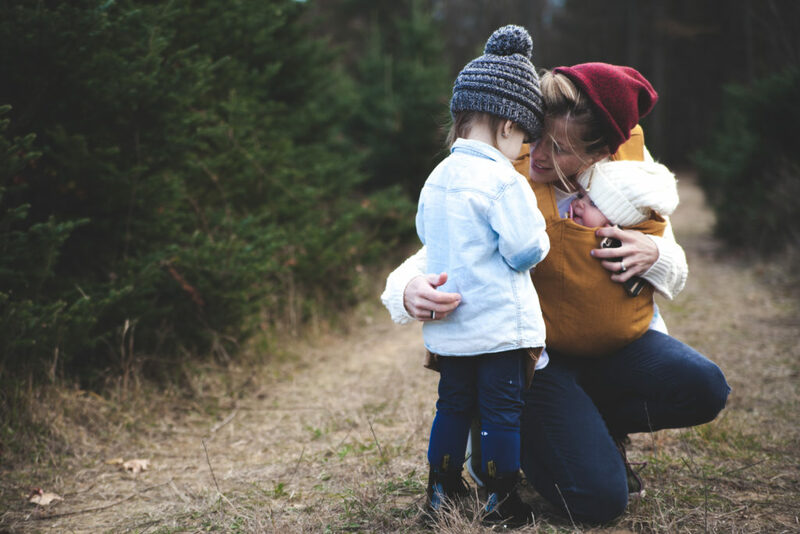 I always hesitate to talk about mothering, because it proves to be such a divisive issue. When women disagree about topics concerning their kids, we do it with passion and conviction. We are quick to feel judged. Perhaps it’s because in the quiet of our hearts, we are all a little bit afraid that we aren’t doing a good enough job as mothers. We are uber aware of all the ways in which we should be excelling, and all too often, we feel we fall short. Because we want to give our kids everything they need, because we are so afraid they’ll fall behind or not be good enough, we follow schedules that would have made our mothers laugh out loud. I wonder if a single one of our mothers would have behaved the way that we do. Whenever our schedule gets too harried, I’m reminded of my mom’s wise words—that what our kids need most is consistency, routine, and calm—to know that one day will be like the next and that there is stability at home. Moms, we have got to slow it down. We need to give one another a break, and give our children a break, and get off this unhealthy gerbil wheel that is going absolutely nowhere. And those of us who are feeling that it’s not just the schedule that’s the problem—it’s just everything, might need to call in some reinforcements. My husband, Leo, recently pointed out that our eleven-year-old daughter, Jane, was getting a little bit lost in the shuffle. My first response was to feel judged. I was doing all that I could, but it still wasn’t enough? Then I cooled my jets enough to recognize that his comment wasn’t about me, it was about her. And he was right. The problem was, I truly did not have the bandwidth to put one more activity or project on my calendar, even if it concerned my beloved Jane. So I decided to look for some reinforcements. Help came in the form of Sarah, my wonderful assistant. Sarah loves my kids, loves Jesus, and once asked, was more than happy to schedule special “Jane time” each week. They are going through a great Christian book aimed at Jane’s age level, and Jane has found a new place to explore her faith. She feels special, singled out, and Sarah’s influence has been shaping Jane’s heart. Lesson for me—it didn’t have to be my influence. It just needed to be a good one. I was caught off guard, paused a little too long before replying, and then asked her to give me a minute. Her face fell, and she said under her breath, “I knew she wouldn’t be able to come up with anything.” I asked her to just give me a minute—that we’d talk when I put her to bed. She went upstairs looking deflated. By the time I had gotten the kitchen pulled back together and the little ones in bed, I was truly wiped. I just felt like I didn’t have it in me to pour out more. I walked into Jane’s room, and it was like a tornado had swirled in. I had asked her earlier to clean her room, and she had done nothing. Let me tell you—this was not a good set up for me to call out all her gifts and talents. We cleaned the room together, I tucked her in bed, and I was tempted to make the consequence of the messy room to be a withholding of my words of affirmation. But I knew that would be wrong, so I asked the Lord to give me the right words. He did. I was able to share the specific abilities I see in Jane, and share with her my vision for the ways in which I believe God can one day use those gifts. I don’t do that sort of thing nearly enough. We are in a unique position to call out the destiny of our children. God has a plan for each one of them, and there is no one more qualified than their mothers to help them see the connection between their gifts and talents and genuine needs in God’s kingdom. We can chart a vision for who they can become, based on their unique bent.